Chapter 54 - Cooperative Organizations. §§ 54-1 through 54-12.1. Repealed by Session Laws 1981, c. 282, s. 1. Article 2 - Shares and Shareholders. §§ 54-13 through 54-18.2. Repealed by Session Laws 1981, c. 282, s. 1. Article 2A - Savings Accounts. §§ 54-18.3 through 54-18.6. Repealed by Session Laws 1981, c. 282, s. 1. §§ 54-19 through 54-23. Repealed by Session Laws 1981, c. 282, s. 1. Article 4 - Under Control of Administrator of the Savings and Loan Division. §§ 54-24 through 54-33.3. Repealed by Session Laws 1981, c. 282, s. 1. Article 5 - Foreign Associations. §§ 54-34 through 54-41. Repealed by Session Laws 1981, c. 282, s. 1. § 54-41.1. Repealed by Session Laws 1981, c. 282, s. 1. §§ 54-42 through 54-43: Repealed by Session Laws 1981, c. 282, s. 1. Article 7 - Statements of Financial Condition of Associations. § 54-44. Repealed by Session Laws 1981, c. 282, s. 1. Article 7A - Mutual Deposit Guaranty Associations. §§ 54-44.1 through 54-44.14. Repealed by Session Laws 1981, c. 282, s. 1. Article 8 - Organization and Powers. § 54-45. Application of term. § 54-46. Incorporation and powers. § 54-49. Land Conservation and Development Bureau; land mortgage associations. § 54-50. Number of incorporators; capital stock. § 54-55. Mortgage forms; approval. § 54-56. Repayment of loan and interest. § 54-57. Terms of payment. § 54-58. Transfer of mortgaged lands. § 54-59. Calling in loans before due. § 54-60. Partial recall of debt. § 54-62. Appraisal of lands. § 54-63. Preference prohibited; association borrowing money. § 54-65. Deed of trust. § 54-66. Collaterals deposited with State Treasurer. § 54-67. Redemption of bonds. § 54-68. Validity of bonds after maturity. § 54-69. Bonds as payment. § 54-70. Bonds as investments. § 54-71. Application of earnings; reserve fund. § 54-72. Restriction on holding real estate. § 54-73. Banking laws applicable. Article 9 - Credit Union Division; Administrator of Credit Unions. §§ 54-74 through 54-75.1. Repealed by Session Laws 1975, c. 538, s. 1. Article 10 - Incorporation of Credit Unions. §§ 54-76 through 54-81. Repealed by Session Laws 1975, c. 538, s. 1. Article 11 - Powers of Credit Unions. §§ 54-82 through 54-93. Repealed by Session Laws 1975, c. 538, s. 1. Article 12 - Shares in the Corporation. §§ 54-94 through 54-97. Repealed by Session Laws 1975, c. 538, s. 1. Article 13 - Members and Officers. §§ 54-98 through 54-104. Repealed by Session Laws 1975, c. 538, s. 1. Article 14 - Supervision and Control. §§ 54-105 through 54-109. Repealed by Session Laws 1975, c. 538, s. 1. Article 14A - Formation of Credit Union. § 54-109.1. Definition and purposes. § 54-109.3. Form of articles and bylaws. § 54-109.5. Use of name exclusive. § 54-109.7. Conducting business outside this State. § 54-109.8. Reserved for future codification purposes. § 54-109.9. Reserved for future codification purposes. Article 14B - Supervision and Regulation. § 54-109.10. Creation and supervision of Division. § 54-109.11. Duties of Administrator. § 54-109.12. Corporations organized hereunder subject to Administrator of Credit Unions; rules and regulations. § 54-109.13. Revocation of certificate; liquidation. § 54-109.16. Examinations required; payment of cost. § 54-109.18. Selection of attorneys to handle loan-closing proceedings. § 54-109.19. Removal of officers. § 54-109.20. Reserved for future codification purposes. Article 14C - Powers of Credit Union. §§ 54-109.23 through 54-109.25. Reserved for future codification purposes. § 54-109.27. Societies and other associations. § 54-109.28. Other credit unions. § 54-109.29. Members who leave field. § 54-109.30. Liability of shareholders. § 54-109.31. Meetings of members. §§ 54-109.32 through 54-109.34. Reserved for future codification purposes. Article 14E - Direction of Affairs. § 54-109.35. Election or appointment of officials. § 54-109.36. Record of board and committee members. § 54-109.38. Compensation of officials. § 54-109.39. Conflicts of interest. § 54-109.41. Authority of directors. § 54-109.43. Meetings of directors. § 54-109.44. Duties of directors. § 54-109.45. Authority of credit committee. § 54-109.46. Meetings of credit committee. § 54-109.48. When credit committee dispensed with. § 54-109.49. Duties of supervisory committee. §§ 54-109.50 through 54-109.52. Reserved for future codification purposes. Article 14F - Savings Accounts. § 54-109.57: Repealed by Session Laws 2011-236, s. 4, effective October 1, 2011. § 54-109.57A. Payable on Death (POD) accounts. § 54-109.60. Repealed by Session Laws 1977, c. 559, s. 6. § 54-109.60B. Accounts opened by adults for minors. § 54-109.61. Reduction in shares. § 54-109.62. Payment of balance of deceased person or person under disability to personal representative or guardian. § 54-109.62A. Powers of attorney; notice of revocation; payment after notice. § 54-109.63. Personal agency accounts. § 54-109.64. Savings promotion raffles. § 54-109.65. Purposes, terms and interest rate. § 54-109.70. Line of credit. § 54-109.71. Other loan programs. §§ 54-109.72 through 54-109.74. Reserved for future codification purposes. Article 14H - Insurance and Group Purchasing. § 54-109.75. Insurance for members. § 54-109.76. Liability insurance for officers. § 54-109.78. Share and deposit insurance. §§ 54-109.79 through 54-109.81. Reserved for future codification purposes. § 54-109.82. Investment of funds. §§ 54-109.83 through 54-109.85. Reserved for future codification purposes. Article 14J - Reserve Allocations. § 54-109.86. Transfers to regular reserve. § 54-109.87. Use of regular reserve. § 54-109.88. "Risk assets" defined. §§ 54-109.89 through 54-109.91. Reserved for future codification purposes. Article 14K - Change in Corporate Status. § 54-109.92. Suspension and conservation. § 54-109.95. Conversion of charter. §§ 54-109.96 through 54-109.98. Reserved for future codification purposes. § 54-109.99. Restriction of taxation. §§ 54-109.100 through 54-109.104. Reserved for future codification purposes. Article 14M - Confidential Information. § 54-109.105. What information deemed confidential; disclosure; certain information deemed public; exchange of information. Article 14N - Foreign Credit Unions. § 54-109.106. Foreign Credit Unions. Article 15 - Central Associations. § 54-110: Recodified as §§ 54-110.1 through 54-110.10. Article 15A - Corporate Credit Union. § 54-110.1. Definition and purposes. § 54-110.3. Charter and name exclusive. § 54-110.5. Powers and privileges. § 54-110.6. Participation in central system. § 54-110.7. Right of set-off; security interest. § 54-110.10. Applicability of Article. Article 16 - Organization of Associations. § 54-111. Nature of the association. § 54-111.1. Repealed by Session Laws 1959, c. 991. § 54-112. Use of term restricted. § 54-113. Articles of agreement. § 54-114. Certificate of incorporation. § 54-115. Fees for incorporation. § 54-117. General corporation law or general nonprofit corporation law applied; dealing in products of, or renting to, nonmembers. § 54-118. Other corporations admitted. Article 17 - Stockholders and Officers. § 54-119. Certificate for stock fully paid. § 54-120. Ownership of shares limited. § 54-121. Shares issued on purchase of business. § 54-122. Absent members voting. § 54-123. Directors and other officers. Article 18 - Powers and Duties. § 54-124. Nature of business authorized. § 54-125. Amendment of articles. § 54-126. Apportionment of earnings. § 54-127. Time of allocation. Article 19 - Purpose and Organization. § 54-129. Declaration of policy. § 54-130. Definitions and nature. § 54-131. Who may organize. § 54-134. Articles of incorporation. § 54-135. Amendments to articles of incorporation. § 54-137. General and special meetings; how called. § 54-138. Conflicting laws not to apply. § 54-139. Foreign cooperative corporations; limitation on use of word "cooperative." § 54-140. Association heretofore organized may adopt the provisions of this Subchapter. § 54-141. Associations not in restraint of trade. § 54-142.  Application of North Carolina Business Corporation Act to cooperative associations with capital stock. § 54-142.1. Application of Nonprofit Corporation Act to cooperative associations without capital stock. Article 20 - Members and Officers. § 54-147. Election of officers. § 54-148. Stock; membership certificates; when issued; voting; liability; limitation on transfer of ownership. § 54-149. Removal of officer or director. Article 21 - Powers, Duties, and Liabilities. § 54-153. Purchasing business of other associations, persons, firms, or corporations; payment; stock issued. § 54-155. Interest in other corporations or associations. § 54-156. Contracts and agreements with other associations. § 54-157. Breach of marketing contract of cooperative association; spreading false reports about the finances or management thereof; misdemeanor. § 54-158. Cooperative associations may form subsidiaries. Article 22 - Merger, Consolidation and Other Fundamental Changes. § 54-159. Procedure for merger. § 54-160. Procedure for consolidation. § 54-161. Approval of merger or consolidation; abandonment. § 54-162. Articles of merger or consolidation. § 54-163. Effect of merger or consolidation. § 54-164. Merger or consolidation of domestic and foreign associations. § 54-165. Sale, lease or exchange of assets; mortgage or pledge of assets. § 54-166. Rights of objecting members.